U.S. intelligence and military officials said the plane had been destroyed by a Russian SA-series missile, based on surveillance satellite data that showed the final trajectory and impact of the missile but not its point of origin, the Times reported. The separatists had in recent days bragged about shooting down at least three Ukrainian military aircraft. 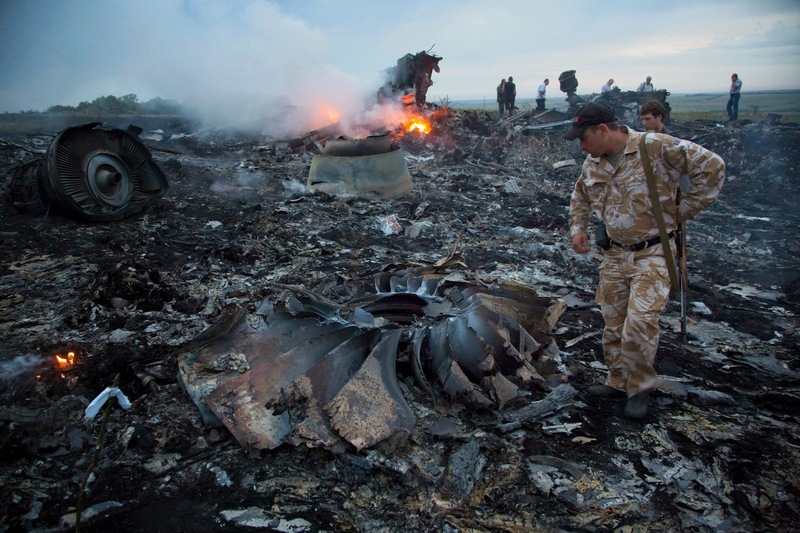 This time, they could have mistaken MH 17 flight with a Ukrainian military aircraft. One of Putin's men had their finger on that button. VERY SAD INDEED !-and why can't the sleeping UN do something to BRING some sanity in Ukraine ?. When I heard the news I instantly thought of Iran 655. RIP to all those aboard. Poroshenko and his sponsoes did not want a ceasfire and instead intensified attacks and declared to annihilate "terrorists". Why did they let passenger jetliners to fly in that zone then ?? Why do some airlines have taken chances to fly over the war zone ?? On the other hand if it was the separatists who downed it, they may did not know that it is a passenger jetliner, like the US claimed when they downed Iranian jetliner with almost the same number of casualties. President Putin of the RF stated that the Ukrainian side contributed to that situation when they refused to follow negotiations with the separatists and do not care too much about civilian casualties during their assaults. "Pro-Russia separatist groups in eastern Ukraine are hastily covering up all links to the Buk missile battery suspected to have been used to shoot down the Malaysia Airlines passenger plane, according to western-based defence and intelligence specialists. As the UN security council called for a "full, thorough independent international investigation" into the downing of the plane, concern that a cover-up was under way was fuelled by a standoff at part of the crash site between observers from the Organisation for Security and Co-operation inEurope (OSCE) and rebel gunmen, which ended with a warning shot being fired. Postings on rebel websites immediately after the crash boasted of having shot down what they claimed was an Antonov Ukrainian military transport plane, but these have been deleted." OSCE and the UN inspectors' relevance and information from free press of the West were proved during false claims against S. Hussein that Iraq possesed WMD and cooperated with Al Queda.